Key Notes 4 is here! A very proud moment here yesterday! Sarah Odedina is currently flying the flag for Hot Key Books at the Asian Festival of Children’s Content in Singapore – and yesterday she was interviewed for am Live! for Channel NewsAsia. And of course we have the video footage to share with you all. Next stop, BBC News, right? 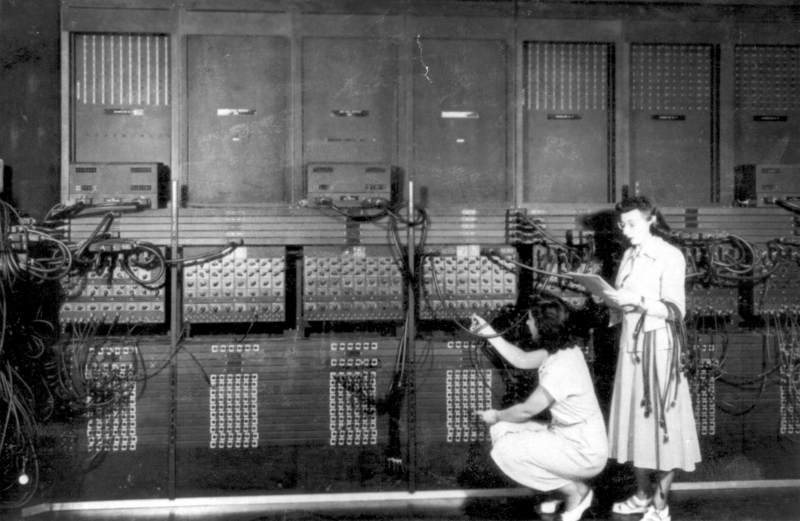 Last month, I posted a blog about what it’s like setting up the digital strategy at a new publisher and it got a lovely response, especially the mention of being female in the digital world. While that conversation was happening, we were remembering this video about the future of publishing that ustwo did… where everyone (bar one notable exception, hello Sophie!) is male. We knew that there are lots of women getting recognised for their work in digital and at some point on the day of that blog, Sarah B said, “Let’s do a women in digital publishing event one evening.” And I think I said something like, “I love you.” Sarah Odedina said we could buy some chairs and I did a little dance. Then I went to IKEA. There will unique insights from the panellists’ different areas of expertise, questions about successes, failures, trends and the future of digital in publishing, and a little bit about what it’s like to be a woman in digital. This networking event is for people in publishing, film, and media with an interest in digital. It will have a slight young audience slant because that’s what we do. There is limited space and tickets can be bought here. The £6 ticket fee is to cover the drinks and nibbles that will be served. Sara O’Connor asked me to answer a question that authors ask her all the time – what is the dream package in terms of an aspiring author and how does that influence a marketing team’s opinion during acquisition? So, what’s the secret formula we’re looking for? Is it 1000 twitter followers? A well-trodden event schedule? Do you need to be a celebrity? A YouTube sensation? A self-published author with a proven online fanbase? Sure. Sometimes those things work. I’ve seen and worked on many books and authors that might have started off that way. But I can honestly say that nothing excites a marketing department more than A FANTASTIC BOOK. A book that while reading it ideas spark off in every direction about fun things to do with it; you are scribbling things down on receipts in your bag while reading it on the bus, or highlighting sections on your iPad. Your heart starts to beat a little faster, you cannot stop thinking about the characters, the world, the story and can’t wait to get to work the next day to discuss it with your colleagues. I’ve had submissions where you start reading it on your way home, and feel so passionate about it you send an email to everyone in the team telling them you love it so much. At midnight. It’s THAT feeling that cannot be beaten, or recreated, ever, by twitter followers, facebook friends or any other hype. In the same way, there is nothing more disappointing than reading about various accolades that an author has achieved already, in whatever field or medium, but then reading a book that doesn’t excite you. Because I know that when we’re selling it to other people – booksellers, librarians, parents, teenagers, reviewers, bloggers – that is exactly how they will feel. If something doesn’t live up to it’s hype, it’s a big let down, we all know that. There are publishers I’ve heard of that will only consider acquiring authors that have already built up a following online before they get published. In my view, this is pretty much our job. You have to start with something brilliant and then work with an author to take it to an audience. So having an author that is open to working with us is definitely a bonus. And if they have done some of the groundwork already, plus written a fabulous book, then that does help. But, on the other end of the spectrum I’ve worked with authors that don’t want to do any events, tweet, blog or have a website and it doesn’t mean we would turn them down if we loved the book. So if you can, write the story that’s in you, not what you think we want to read. So, what am I saying? A ‘dream’ author for us: Great, original writing, mixed with an openness to work together with us and not balk at our crazy ideas (too much!). And at the heart of it, HAS to be a good story. That’s what we’re looking for every time an editor sends us something to consider for acquisition. Something that stays with you, when other things pass by. Something that keeps you awake at night thinking about the characters or what might happen next. Something that you just can’t wait to tell other people about. So writers, you concentrate on making your story the best it can be, and we’ll concentrate on all the other stuff. Time to be Ten Again! I’m coming to the end of my fabulous learning experience at Hot Key, but I will admit that there is one aspect of children’s publishing that troubles me. For many years, age grouping children’s fiction has made me feel uncomfortable, but the issue has puzzled me, more so, in the past two weeks. On my first day, I learnt the in house target audience of Hot Key was approximately 9 -19. Logistically, this is vaguely considered as two age groups: 9-12, and the young adult audience. While Hot Key do not age band books, the content of the book causes a consideration of which audience it is most likely to appeal to. A few days in to my placement, and one thing occurred to me: there seemed to be noticeably less manuscripts where the content would suit a younger age band. I wondered whether this was my issue, had I forgotten what I looked for in a book when I was ten? Or, is it that we remember more clearly what we were reading when we were teens, making it easier to write for that audience? There was only one thing I could do to help me find answers; I had to stop being twenty three. My mission became to return to being ten years old. Think, I told myself, what were you reading when you were ten? I remembered Lucy Daniel’s Animal Ark series. My stomach squirmed a little because with this memory came another one. One of my biggest fears when I was younger was that I would grow up and stop reading the stories I loved. 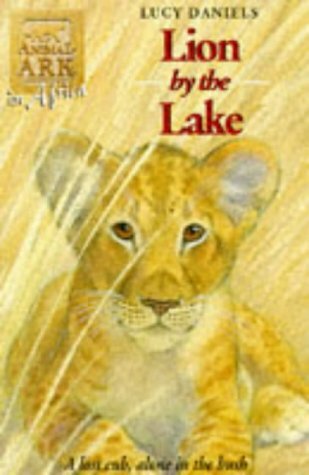 No word of a lie, I promised myself that no matter how old I got I would never stop reading the Animal Ark series. Not knowing where my series of books are now, I realised that my ten year old self would frown disapprovingly on twenty three year old me. The Hobbit came to mind. But it still failed to enlighten me as to why there were less people writing 9-12 fiction. 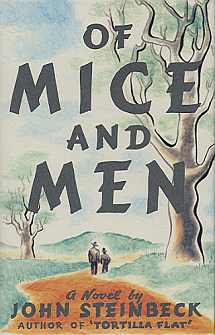 Then I recalled reading Of Mice and Men. I had decided one day to read what my older sister was reading for school. Two hours later, I emerged from my bedroom crying hysterically, that little bit more disillusioned with the world, but the book became one of my favourites. But what did this tell me about what I should be looking for when reading children’s fiction now? I’d come across three titles, none of which were aimed at the same audience, but all of which I loved. It dawned on me that this was the most important revelation of my journey to being ten years old. Fast forward one year to when I was eleven and I began to get a clearer understanding of the issue. I had to give two book reports for school. The first was on a book that would be picked for me by the teacher. The second would be my own choice. 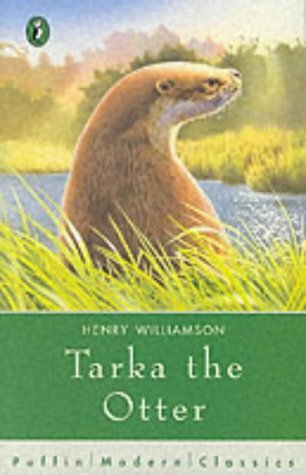 The teacher selected Tarka the Otter, a book I hated. I told the class with the utmost conviction that this was the most boring book I had ever read (no disrespect to anyone who loves this book!). The teacher, slightly bewildered, insisted that she thought I would really enjoy the book. 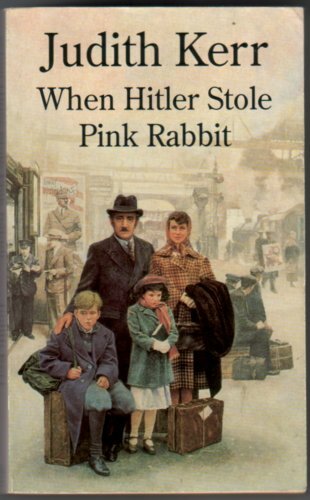 The following week I did my choice, my favourite book of the moment, When Hitler Stole Pink Rabbit. But why did my teacher get it so wrong? She had seen the shy, timid girl that I was, and thought a book about an otter and the countryside was exactly what I wanted to read. The truth was that age targeting and subject matter weren’t things that I thought about, the only thing I wanted to read was a great story. I realised, for me, this is where the problem lies in younger fiction. Remembering these books was not something that came to me quickly. I’ve spent the past two weeks trying to recall what it was I loved to read when I was little. Just as my teacher failed to relate to what I would want to read, I also struggled to relate to the younger audience. Teen fiction, I still read, but apart from Coraline and Un Lun Dun, I haven’t read anything, in recent years, that would appeal to the younger audience. I wonder, is this also the problem writers face? My journey reminded me that what I looked for in a book was adventure; simply, a story that grabbed me. I worry, though, that my biggest issue when approaching children’s fiction now, is that I was focusing too much on that 9-12 bracket. Book shops have categorised children’s fiction into ages as a selling point, but are we so busy thinking in terms of this age band that we hinder our ability to relate to our inner child? Just for fun, let’s pretend that every bookshop in the country was having a revamp and replacing the 9-12 sign. Do you think there would be a more sufficient way of labelling this category? So you want to be a publisher? Last night I was lucky enough to see three of the hottest names in children’s publishing come together to talk about their experiences of staring up a new company. The Children’s Book Circle event, So you want to be a publisher? was very well attended – obviously the lure of the sunshine was not strong enough to eclipse what would prove to be a fascinating talk . Our very own Sarah Odedina was joined by Barry Cunningham of Chicken House and Kate Wilson of Nosy Crow to give a run down on their journey to publishing success, and their experiences of managing a start-up. Hearing about the journeys that the panel have experienced was fascinating, taking in work with rights, marketing, adult books, punk music – a love of children’s literature was the uniting theme – all three panellists having ended up with three very different, but equally exciting companies. There were a few differences between the three new imprints, notably Nosy Crow is going it alone where Hot Key Books and Chicken House have the support of bigger companies (Bonnier and Scholastic) but fundamentally it seemed that it was shared experiences that were most evident. 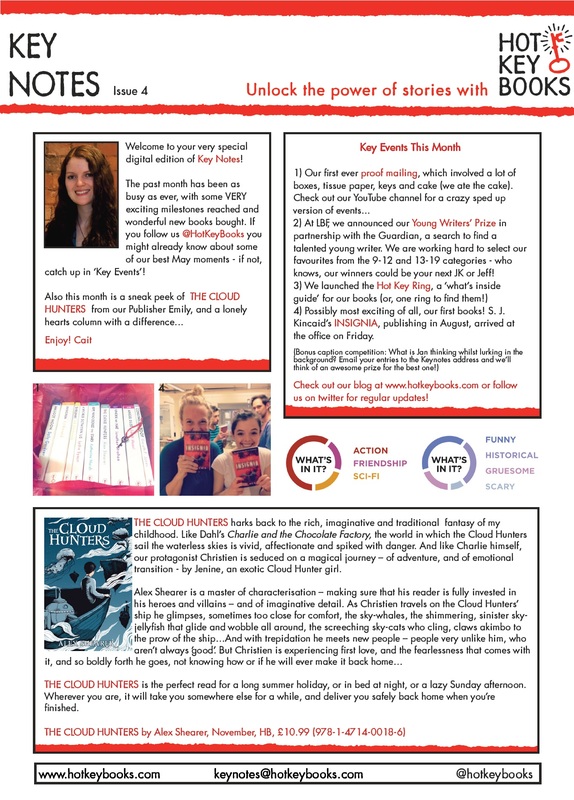 The positivity of lovely bloggers, booksellers, librarians and authors towards these new ventures suggests that the industry is keen to find ‘the next big thing’ and there is a cheering optimism that it might come from anywhere, and anyplace, not just from the big names with the big money. Interestingly the freedom of running a start-up is something that is common to children’s publishers across the board, whatever bigger house they are attached to. There is something unique about working with children’s books, where publishers are left to their own devices and are therefore able to come up with projects which are often more original, challenging or innovative than is possible in adult imprints. My experiences have been in both huge companies and tiny indies, and I so I can see from within that there are inevitable differences. Whilst there is something thrilling about working with the giants of the literary world that are often attached to larger publishers, as an employee I feel that working for start ups is a unique and valuable experience. I know that my input in both meetings and day-to-day discussions is highly valued, and often makes a direct impact on the end product. There is much more room for an opinion on the direction of authors and titles – and your voice is more easily heard in a smaller office! It was very interesting to hear an opinion from the top however. Discussion ranged across a number of topics, from escaping the red tape of large companies, to dispensing with meetings altogether, from the joys of working in tiny offices, sharing cake and editorial tips, to scouting the best of the best to work on the books, to convincing sellers to take a punt on a quirky title. The overriding theme however was passion. Sarah, Barry and Kate all spoke with an undaunted passion about their projects. 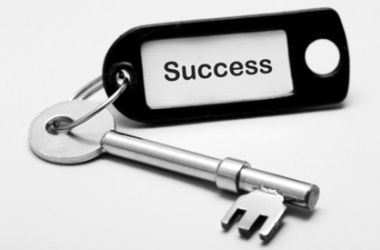 Whether working for the big, or the small, the new or the old it is clear that success is not dictated by money or corporate clout – it comes with belief – having faith in your authors and illustrators, your team and your product. We celebrate the art of children’s books, their place in our childhood and in our culture. 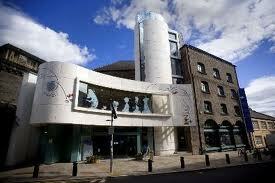 Seven Stories opened on the 19th August 2005, to showcase a national collection of manuscripts and illustrations of some of the UK’s finest authors and illustrators for children. There are 3 main parts to Seven Stories. Firstly there’s the archive, which I’ve been lucky enough to have a look through on a couple of occasions. They want to create an archive of children’s literature that covers the actual making of the book not just the finished artwork or manuscript, so they have early drafts, rough illustrations, letters between the author and publishers as well. The collection includes original artwork and manuscripts by around eighty authors and illustrators, including Philip Pullman, Robert Westall, Edward Ardizzone and Judith Kerr, and about 30,000 books. This means that for Judith Kerr they not only have the original Tiger Who Came to Tea artwork, but also drawings she did as a child. 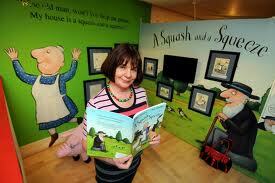 There are 2 exhibitions on at the moment, Julia Donaldson and Jacqueline Wilson. 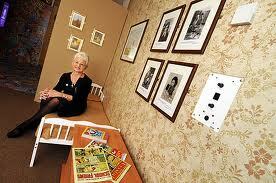 In the Jackie exhibition they have even recreated her childhood bedroom. 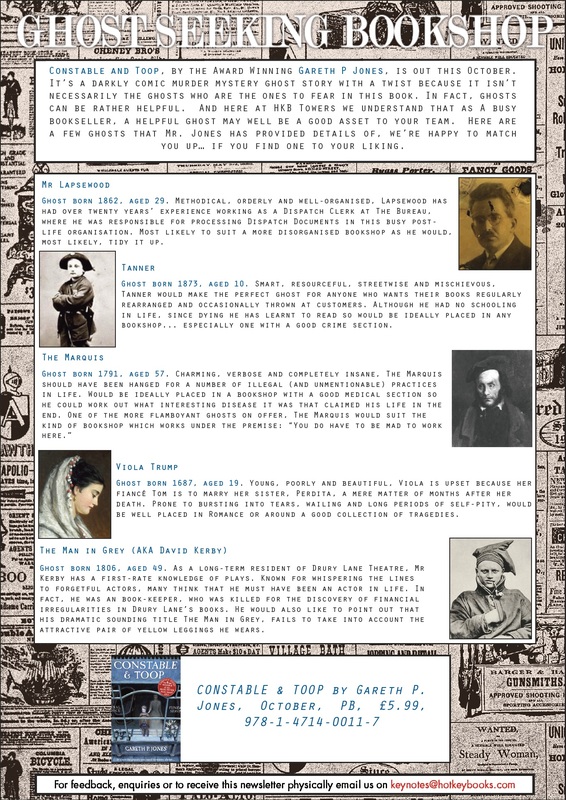 The third part of their work, when not saving vital manuscripts for the nation and entertaining the world, is the wonderful outreach work they do. They have brilliant teachers’ resources, run school events, help libraries and generally act as a bastion of all things wonderful. If you’d like to visit them here are their details. If you’d like to help them, here’s how. GO AND VISIT THEM.